Home Politics Who is Rex Tillerson, dark-horse candidate for secretary of state? Who is Rex Tillerson, dark-horse candidate for secretary of state? So far, President-elect Donald Trump’s Cabinet picks have mostly been either multimillionaire and billionaire executives or retired generals. In that context, it’s probably less of a surprise that Trump may be close to selecting ExxonMobil chief executive Rex Tillerson as secretary of state, elevating a dark-horse prospect who may surge past seasoned political actors like Mitt Romney and Sen. Bob Corker, R-Tenn., in the stretch. Tillerson’s hardly an unknown character on the world stage, but he’s probably not too familiar to Americans. As such, we’ve put together a brief profile of the man who may soon be in charge of the United States’ international diplomacy. Over his decades at the company, Tillerson’s work took him all over the world, including to Yemen and Russia. That, along with his experience as CEO, apparently provides the basis of his familiarity with international diplomacy. Tillerson received the Order of Friendship from Russian President Vladimir Putin in 2013. Tillerson’s work with ExxonMobil included a stretch working for Exxon Neftegas Ltd., putting him in charge of the subsidiary’s fields in Russia and the Caspian Sea. Two years before receiving the award, ExxonMobil won a contract to explore for oil in a Russia-controlled portion of the Arctic Ocean, which was made more economically viable for drilling in part thanks to the sea ice decline that’s followed global warming. Putin himself announced the deal at a meeting in Sochi (where the Winter Olympics would be held the next year). Tillerson’s position on climate change may be to the left of Trump’s. ExxonMobil understood the connection between greenhouse gas emissions from fossil fuel use and the warming climate as early as 1977, according to recent reporting. It then proceeded to combat the idea, recognizing the risk posed to its industry by curtailing fossil fuel use. Only fairly recently did it acknowledge that link publicly, and the company is now on record in support of accepting the established science and identifying solutions to the problem of climate change. That shift happened under Tillerson’s leadership. The issue of climate change will be a potent one for whoever takes over the State Department, given the long-standing international diplomacy efforts to address the issue. Shortly before this year’s election, ExxonMobil issued a statement in support of the sweeping agreement reached in Paris at the end of last year aimed at cutting down on carbon dioxide emissions internationally. Trump said repeatedly on the campaign trail that he opposed the Paris agreement and has regularly expressed his opposition to taking action to address climate change. Tillerson, as CEO, promoted positions contrary to that. His most recent personal comments echoed the sentiment of his company, calling the threat of climate change “real” and “serious” – though the extent to which he was speaking as a representative of ExxonMobil vs. his own views is worth asking. Tillerson is a lifelong Boy Scout. Tillerson was an Eagle Scout in his youth and eventually became president of the national organization. It was under his leadership – and through his advocacy – that the organization embraced the membership of young men who identified as gay. Tillerson’s positions on a variety of other political issues are largely unknown. Climate change is central to what we know about Tillerson, thanks to the industry of his long-term employer. 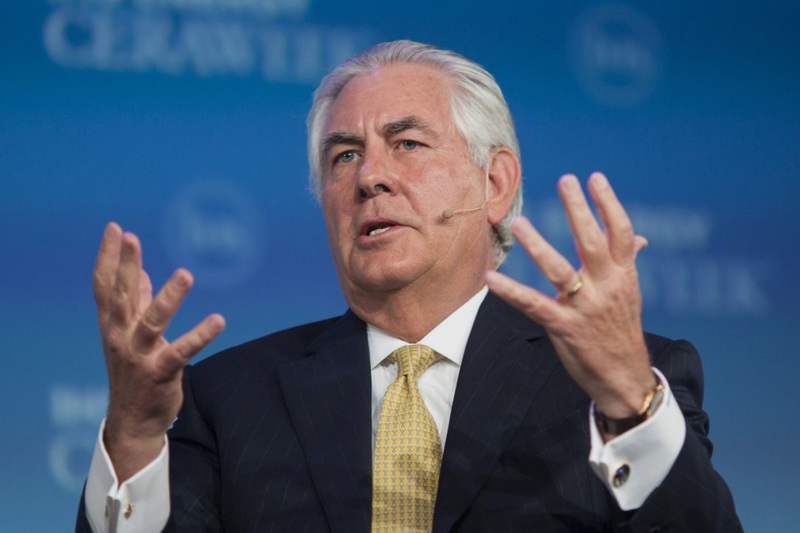 The Wall Street Journal noted that Tillerson supports free trade – which, as a CEO of a major international corporation, is probably a natural position. Beyond that, it’s not clear where Tillerson’s politics align with or differ from his possible boss’s. His political giving suggests an alignment with establishment Republican politics, having given to the Republican Party of Texas repeatedly, to House Speaker Paul D. Ryan (Wis.) and to other national Republican priorities. So it probably isn’t a surprise that Tillerson originally supported Jeb Bush for president. He gave Bush the maximum allowable contribution in September 2015.